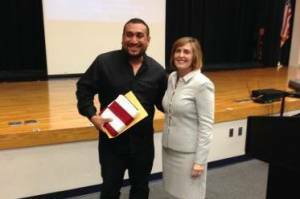 Local entrepreneur, Roberto Torres, was recently awarded the American Dream Award by U.S. Rep. Kathy Castor, during her recent town hall meeting that celebrated the work of immigrants that Castor says reflect the values of America. Torres, of Panamanian descent, is the owner of the expanding Blind Tiger Café, Black and Denim clothing company and Co-Work Ybor. He recently reached out to Tampa Bay Times columnist to discuss his thoughts on the current state of immigration in the United States.